Hospitality begins with thoughtfulness, and this simple tactic can produce immediate results for your customer experiences. Have you ever been in the grocery store and seen a person sitting on one of those scooter things trying to reach something on a shelf? Have you ever asked if they needed help and grabbed it for them? You probably have. Have you ever purchased a particular brand of ice cream or a certain type of wine because a friend or family member was coming to stay with you and you knew it was their favorite? Yep. Have you ever seen someone on a city street, obviously confused about which way to go, and asked if they needed directions? It's a really nice thing to do - if you haven't, I bet you will. You noticed something that might make someone else a little happier and you provided it. And it made a difference. It made their life easier, if only for a moment. You did something THOUGHTFUL. It was simple. It was uncomplicated. Why did you go to the trouble? Why did you notice? Think about that and see if you can apply those same Why's to your business. Hospitality has been defined as "the display of thoughtfulness to strangers and friends." I think it makes sense to most everyone in theory, and it seems so basic and simple. Then why don't we see more of it? It's such an easy way to start small with big impact. These tactics can become habits and change the guests' experiences. 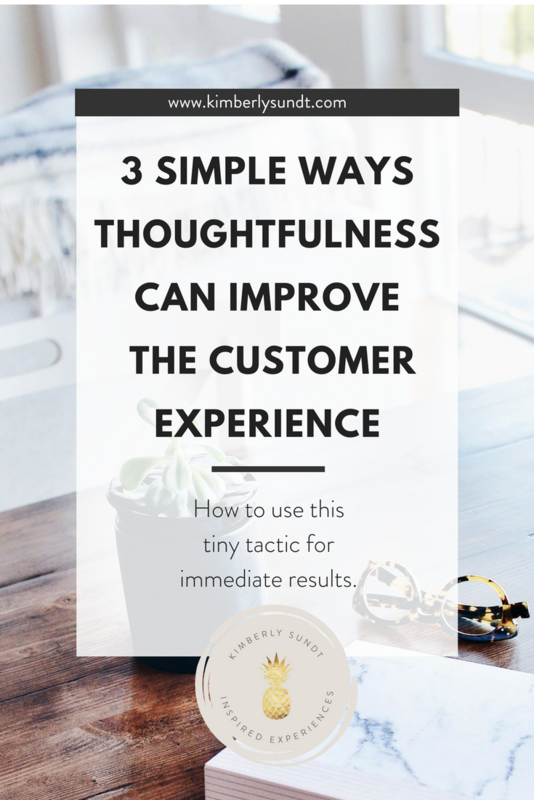 I think there are three ways to approach thoughtfulness. Essentially what you want to do is create an atmosphere where people feel special. It's a mentality. Let's begin at home (where hospitality should begin in the first place!). Since you are reading this, chances are when you have a guest coming to stay with you for a few days, you do some thoughtful things: arrange a bouquet of fresh flowers in the guestroom - have (pretty) travel shampoos, etc. - have her favorite magazines out. Take that mindset and apply it to your customers. POINT OF VIEW: Think about the situation from your guest's perspective. If you were them, what would you want to feel? What would be helpful? It could be a detail on a house tour that only the docent knows and is sharing with the guest. It could be a physical point of view - what do they see when they sit at each of your tables in your restaurant? Can you shift your mind enough to be a shopper in your own store? What little things would irritate you in that situation? Can you remove those? ANTICIPATE: What happens next? After they go into the fitting room? After they are given their room key? Once they have the sofa delivered? After they get home and open the bag of clothes they just purchased from you? What could make that better? Easier? Happier? BE AWARE: Simply be thoughtful. Slow down. Notice how people are acting and what they are doing. Watch and listen. I love what Swedish photographer Mattias Klum said, "Thoughtfulness begins with seeing." Take the time to notice and you will be surprised how much you can see. Don't try to change the entire experience yet. Find three tiny things and be thoughtful with them. Tiny steps. Thoughtfulness typically is in the little things, not the grandiose. This is a bit of a backstory, but interesting observation about how important and current this thinking is today. Before I wrote this post, I was having a hard time figuring out the topic, so I went for a walk, and listened to a new (to me) podcast called The Buyer's Mind with Jeff Shore, which helps sales people better understand their customers. Jeff and his guest Mark Sanborn were talking about how important thoughtfulness is in business. Yes, it is, I thought to myself while climbing up the hill. Then later that day, I got a weekly newsletter and one of the headlines of an article said, "There are a very select number of hotels are so thoughtful and luxurious . . . " Hmmmmmmm. And then, totally random while searching on Google and not working, I came across Chelsey Arnal's site, Inspiring Thoughtfulness. You gotta love the universe. At the end of the party, offer guests little mini disposable cups of espresso or a small bottle of water to take with them. This can be where guests are waiting for Uber or at the valet, or as they walk out the door. If they are tired and have to drive home, they will appreciate it and if not, hydrate, hydrate, hydrate! And, not only are you surprising them, you are extending the hospitality of the event for a few more minutes. A hair salon that caters mostly to women could offer loyal customers a complimentary blow-out lesson. Isn't that the problem? You can never do what your stylist does. You still won't be able to do it, but to have someone give you some tips and tricks and teach you? When you are getting your hair cut or colored, the person blowing your hair out does not have time to teach you. Heaven. A wine store or small shop that sells wine - take the price tag off for the customer! Or don't put a sticky price tag on it in the first place. This removes a step for the customer (he doesn't have to remove it) and eliminates the possibility that they might forget to remove it - as it might be a gift. There is a lot that goes into creating on-purpose, on-brand customer experiences. Try these steps and just get started. You may be surprised how natural it becomes. ps (perspective shift) Think about your customer as you would a houseguest. 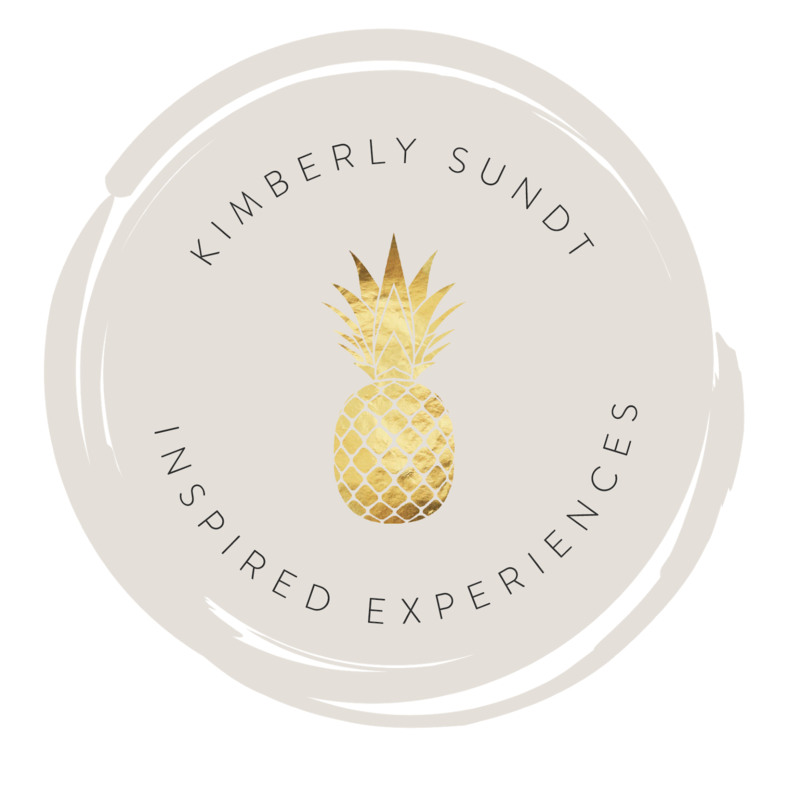 In each moment, what would you do for your guest to create a more thoughtful experience? Apply that perspective to your customer.